I want to preface this piece by qualifying something. 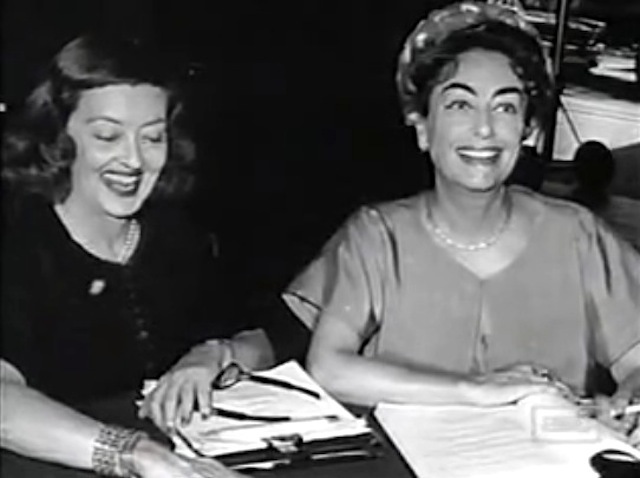 With all that’s been written about the infamous feud, there’s also those who try to dispel it as a myth, stating that rather than loathing each other Bette and Joan were actually cordial to each other-even chatting on the phone occasionally from the 30s until the making of Baby Jane? 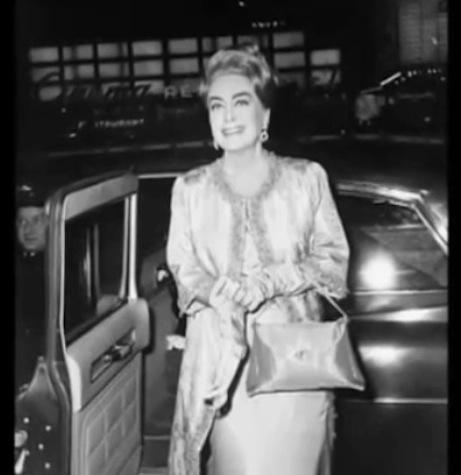 And that contrary to what’s been asserted, Davis wasn’t threatened by Joan’s coming to Warner Bros because she felt they were suited to playing different types of roles so there was no conflict there. 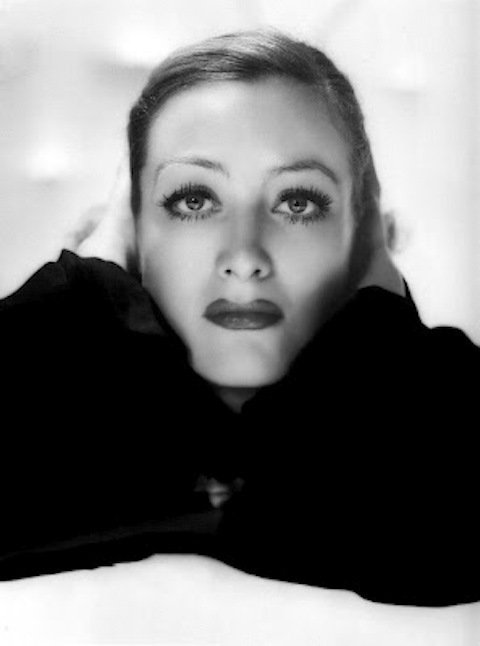 When Joan Crawford started to gain momentum with her best melodramas at the studio where Bette Davis’ was queen, Davis was already planning an exodus anyway. 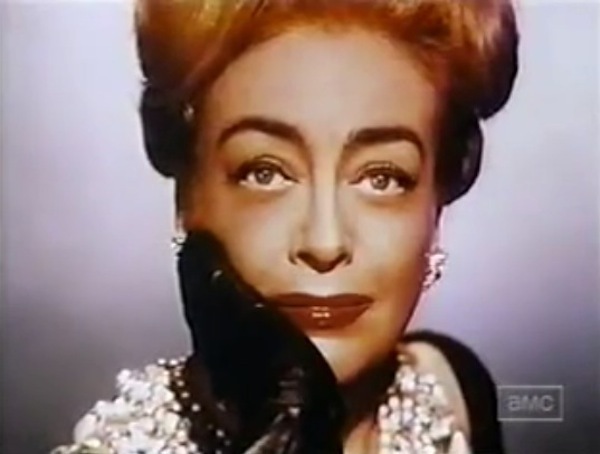 Finally in regards to Hush…Hush, Sweet Charlotte when Joan Crawford saw that Bette Davis was acting more like the director taking control and adding more of her own presence in the script while cutting Crawford’s dialogue to shreds, she decided to bow out of the picture claiming illness so she could be let out of the contract. Some people assert that while they never became close friends, the two stars only wound up being not so friendly to each other in the end. But, for the sake of my theme of the feuding divas I felt like putting the more sordid version of the saga out there. The notable feud, fueled by rumor, gossip, falsehoods, and dished up dirt, drew so much juicy attention to these fierce Divas whose careers and lives often traversed each other in ironic and titillating ways giving us a peek into the tumultuous allure of Hollywood. Both were incredibly talented, super ambitious, independently driven and possessing strong personalities. 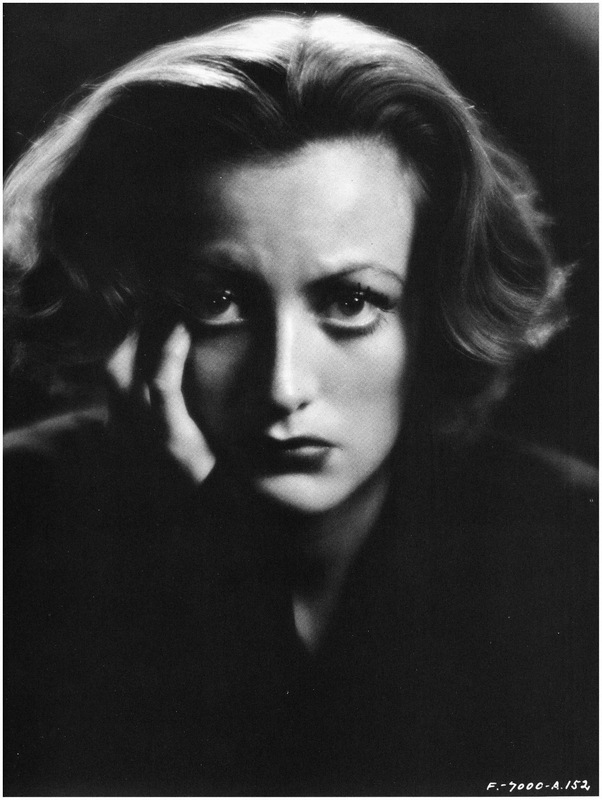 They were each on divergent paths to stardom, Crawford gaining her power remote from the proverbial casting couch “She [Joan Crawford] has slept with every male star at MGM except Lassie.” –Bette Davis. 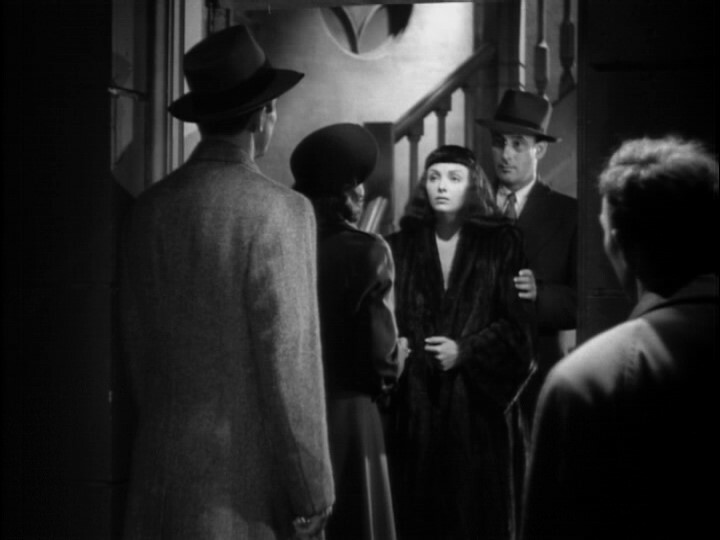 Most of Crawford’s leading men found her sexual magnetism hard to resist. But she proved she could command the screen with an invincible vigor and facility to emote and Davis who had a determined streak of flair manifested itself into an unyielding spirit and incomparable depth. Both ironically similar both indomitable, independent and possessing great fortitude. Both married four times, and both were at the receiving end of hostile and vengeful children ultimately ending up as reclusive alcoholics. 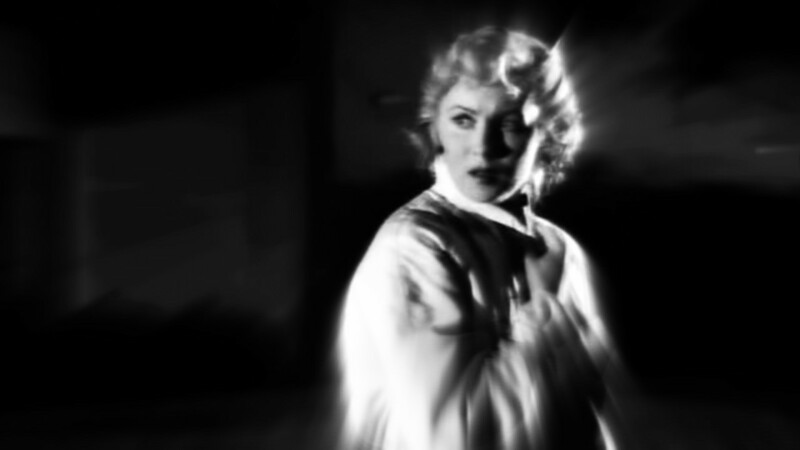 Aldrich’s iconic offbeat Gothic thriller What Ever Happened to Baby Jane? 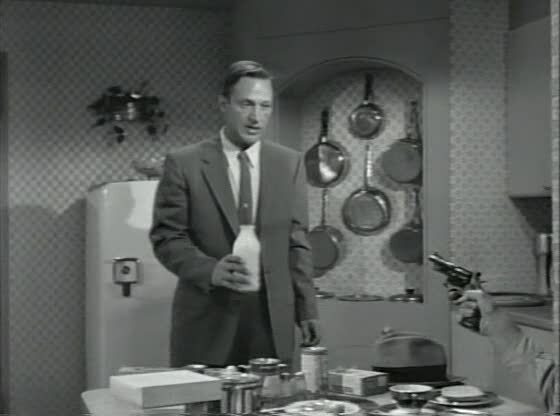 (1962) brought these two legends together culminating in the classic pairing of two bitter adversaries not only on screen but behind the scenes as well. 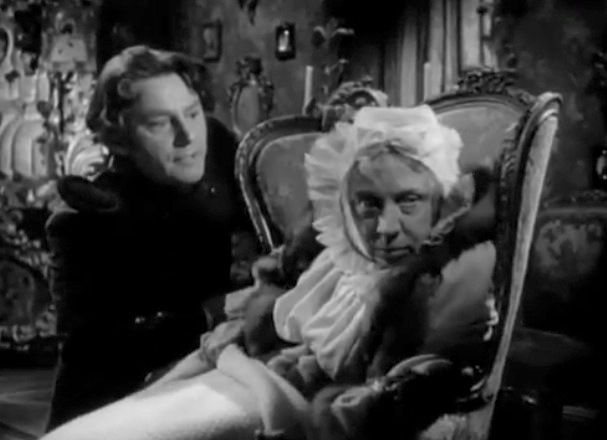 Baby Jane? 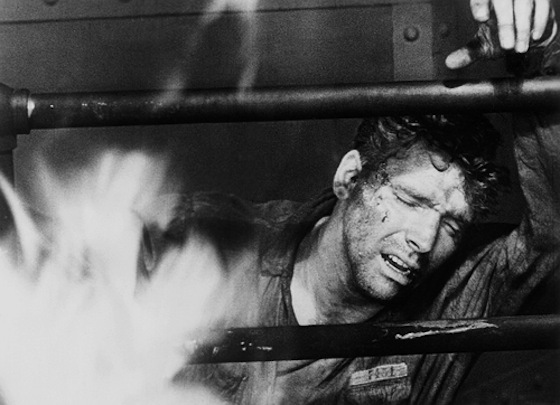 would forever consign their iconic images engaged in dramatic conflict and defining their rancorous relationship for an eternity. Was their long drawn out public war due to Crawford’s marrying co-star Franchot Tone allegedly stealing him away from Bette? 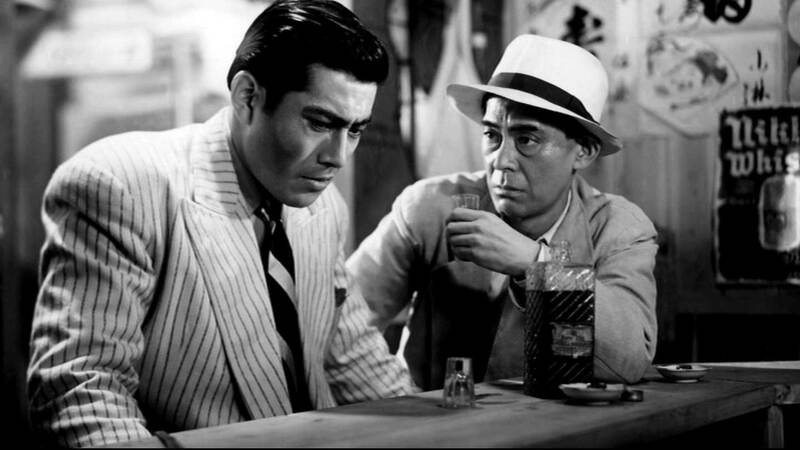 Or was it the competitiveness for good roles in the 40s that drew a wedge between them. 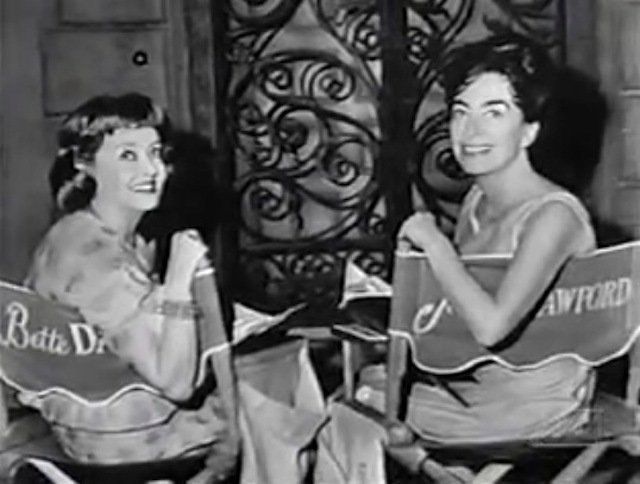 These two women were the most illustrious female stars in their day, successful at playing ordinary working class gals with at times questionable reputations. But good roles were something they both had to fight to get. So was it a case of unrequited love or fierce competition? Either way, for both stars it was a genuinely personal and delicate affair. 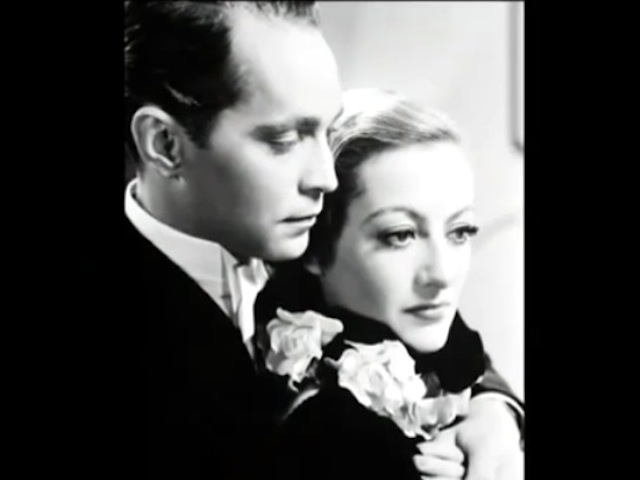 On Davis’ last trip to London two years before her death, she revealed that the love of her life was Franchot Tone, but she could never marry him because he was Crawford’s second husband. “She took him from me,” Davis said bitterly in 1987. “She did it coldly, deliberately and with complete ruthlessness. I have never forgiven her for that and never will.” Crawford already dead for ten years, was still the recipient of an eternal hatred on the part of Davis now 80 years old and desiccated from her stroke. Davis wound up falling in love with her leading man, unaware that he was already involved with Joan Crawford who was recently divorced from the dashing Douglas Fairbanks Jr. This began the legacy of love jealousy and possession. At the time Davis was married to musician Ham Nelson. 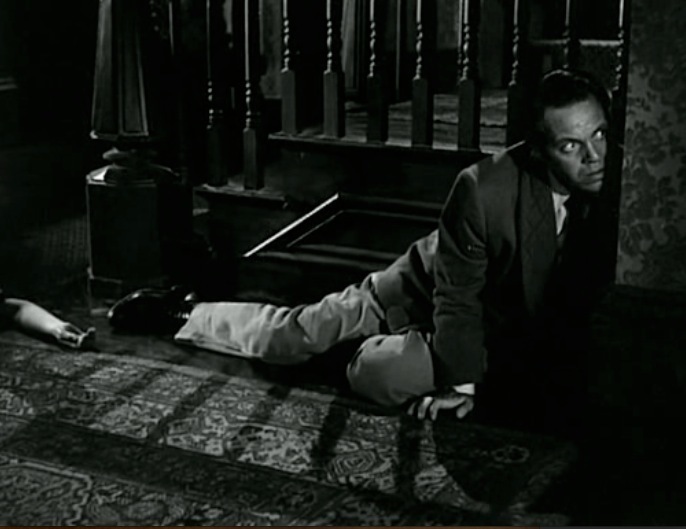 Everyone on set could see that Davis was attracted to co-star Franchot Tone. Crawford first entertained Franchot Tone at her Hollywood home. When he arrived he found her tanned and completely naked in the solarium. 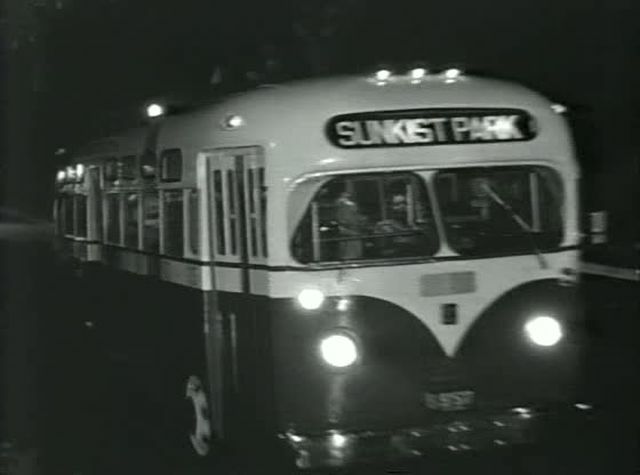 According to friends and neighbors he did not emerge from the seductive sojourn until nightfall. But instead of Crawford retaliating she reached out to Davis hoping to be friends, but it was too late by then her heart was broken, she was furious. 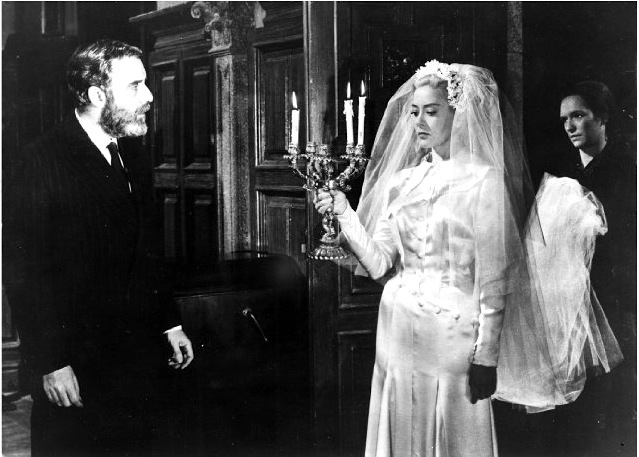 Crawford announced her engagement to Tone during the filming of Dangerous and they married soon after the film wrapped. Some of the women that allegedly were Crawford’s lovers included Greta Garbo, Marlene Dietrich, her friend Barbara Stanwyck & Marilyn Monroe. 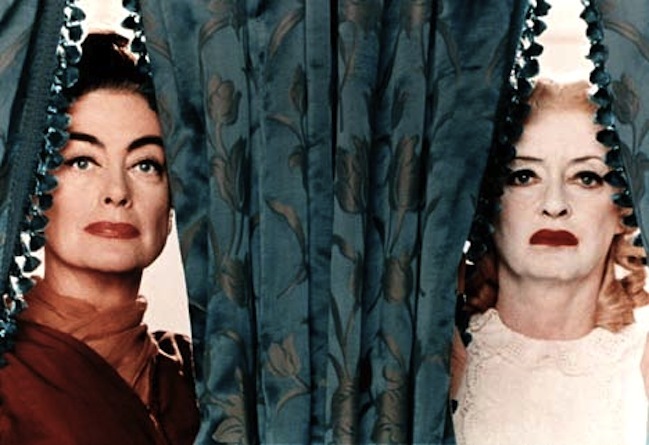 The years of hostility and jealousy were only galvanized later by the battle that ensued on the set of Baby Jane? 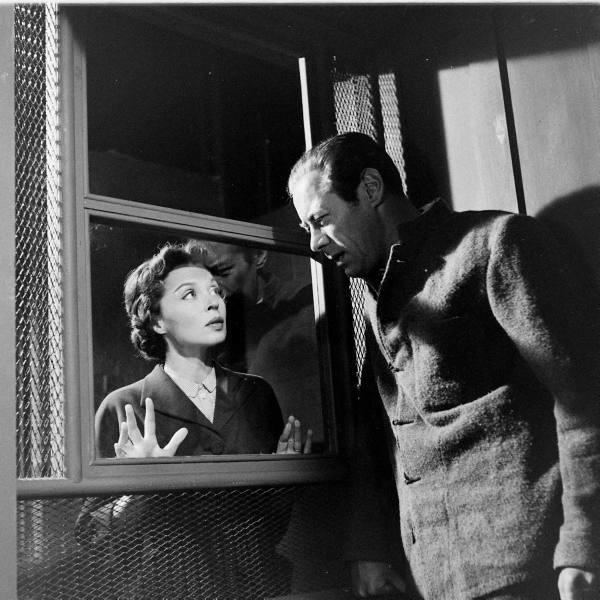 where Davis upended Crawford by endearing herself to director Aldrich. Davis got the Oscar nomination for Best Actress, Crawford did not. 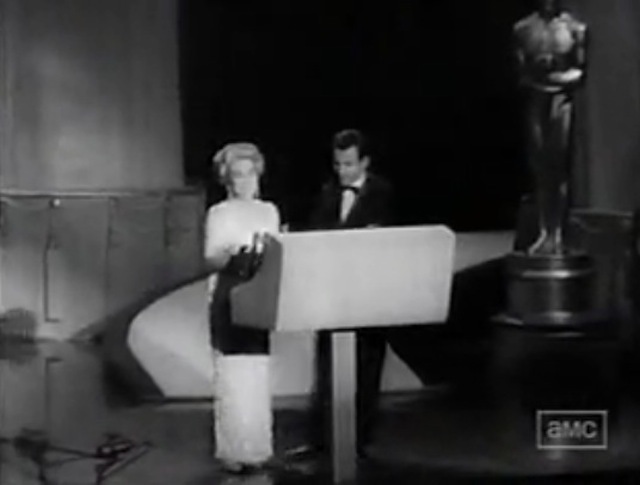 only to have Crawford undermine Davis at the award’s ceremony sabotaging Davis by accepting the award for Ann Bancroft who won for The Miracle Worker. Making matters worse the newspapers paraded the image of Crawford holding the golden idol that Davis failed to win. 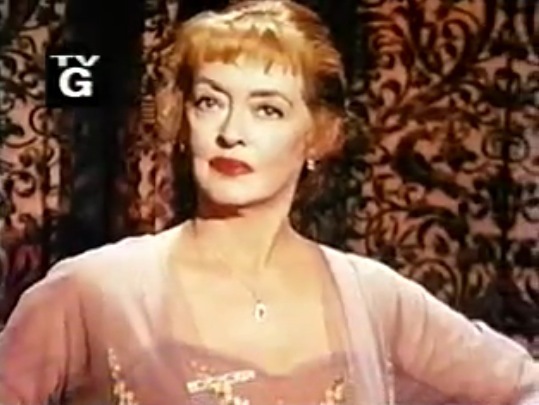 According to Bette Davis, Joan was bitter and conspired to keep her from winning the Oscar. 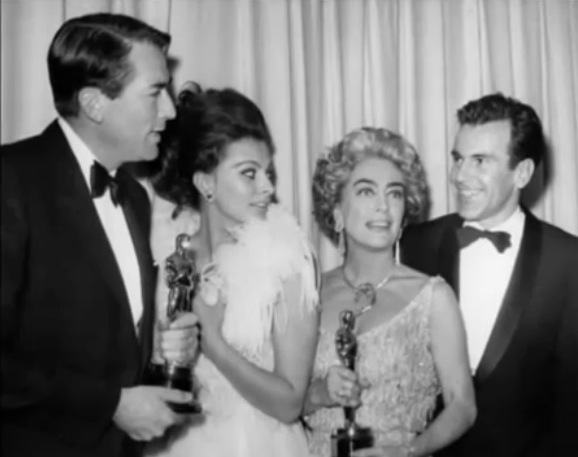 Crawford managed to insinuate herself into accepting the Oscar for Ann Bancroft in case Ann won. 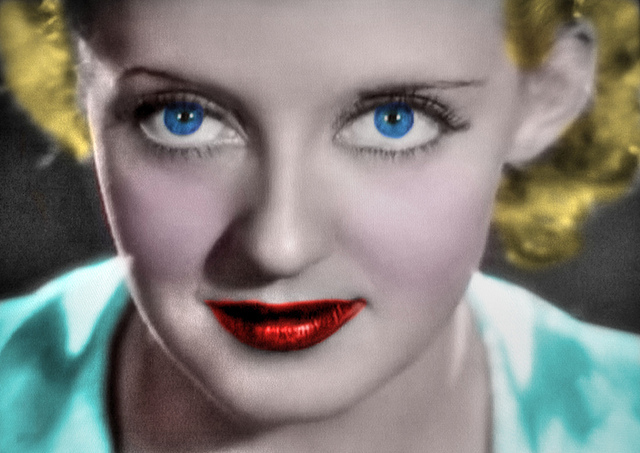 The night of the awards Bette Davis shows up fairly confident she could take home the Oscar. She was waiting in the wings with her purse ready to walk on stage when they the announced the winner. 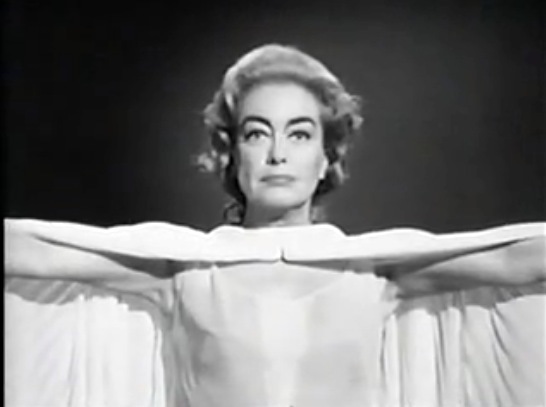 But Joan Crawford was also hovering in the wings waiting to take her revenge. From an interview in ’87 -“I was furious. She went to all the New York nominees and said if you can’t get out there, I’ll accept your award. And please do not vote for her. 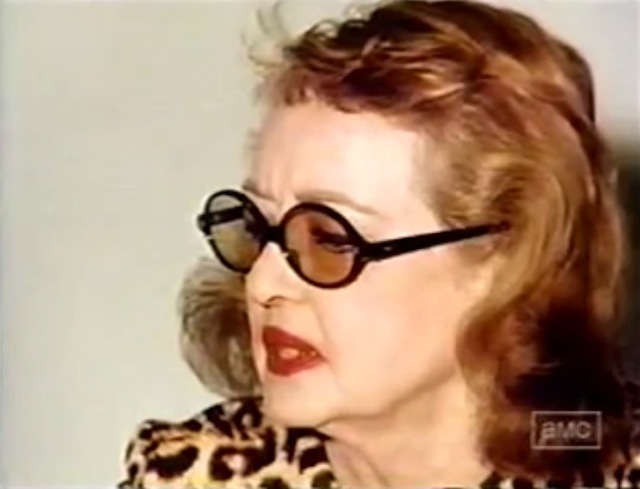 She was so jealous.” Crawford’s scheme worked, it was a terrible slap in the face for Bette Davis. And how much does the media fuel this rivalry? Is it partly the paradigm of a film industry that engenders a climate of sexism and agism that feeds tabloid culture devaluing women’s self-worth antagonizing the rift that already existed between the two actresses. Consider the symbiosis that occurs between the press and female celebrities, their exploitative and predatory hunger to devour them whole and the co-dependent dysfunction pervasive in the film industry. You have to wonder how much of the nasty fodder that kept the feud burning was fact and how much of it was a myth the media created? 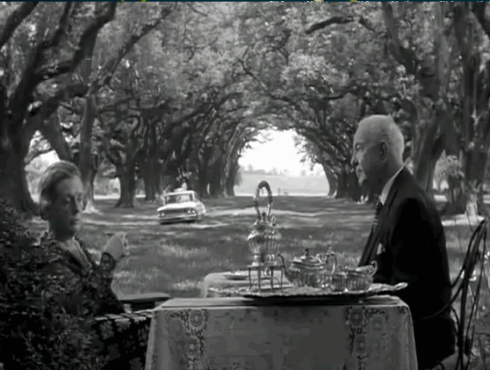 It isn’t hard to see how both these aging stars were forced to fight for screen supremacy. 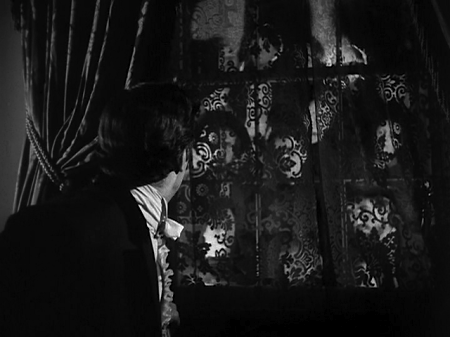 An irreconcilable difference that put Aldrich in the sad and awkward position of having to fire Joan Crawford from her role as Cousin Miriam in his second feature with the dynamic duo in his Gothic thriller Hush… Hush, Sweet Charlotte. 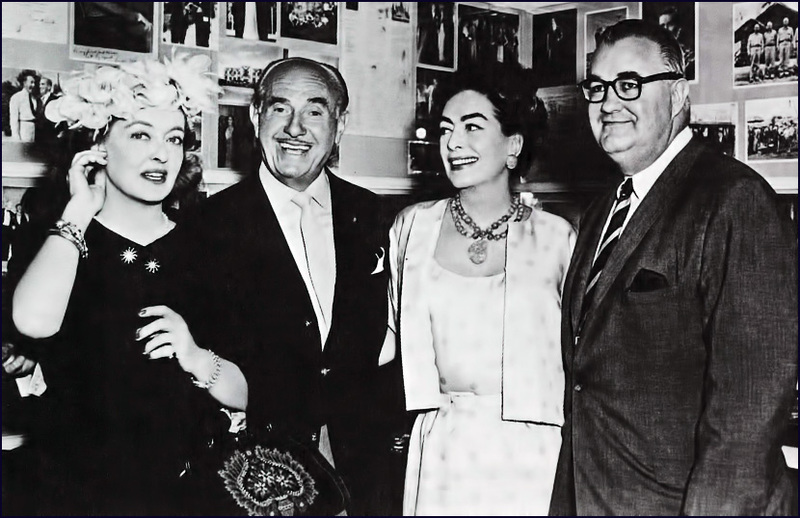 Despite their feud the box office success of Baby Jane? 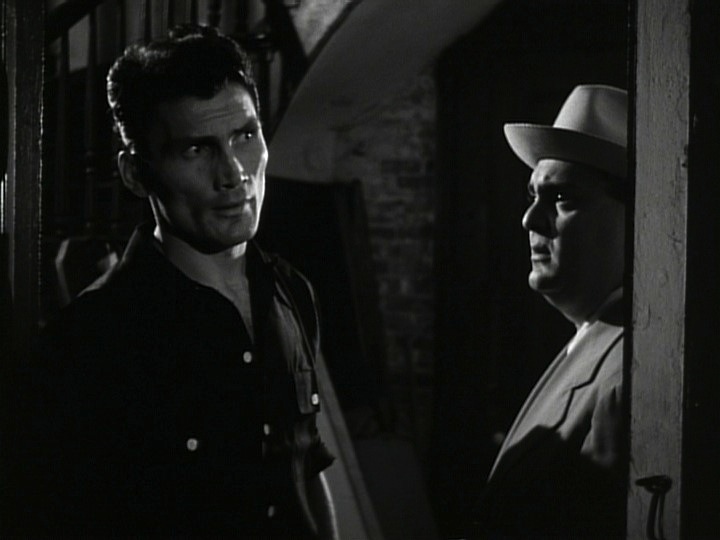 encouraged Aldrich to change the story and characters but reunite the same controversial and quarrelsome stars. Originally called “What Ever Happened to Cousin Charlotte?” written once again by Henry Farrell. Crawford agreed to get back on the screen with her familiar enemy. 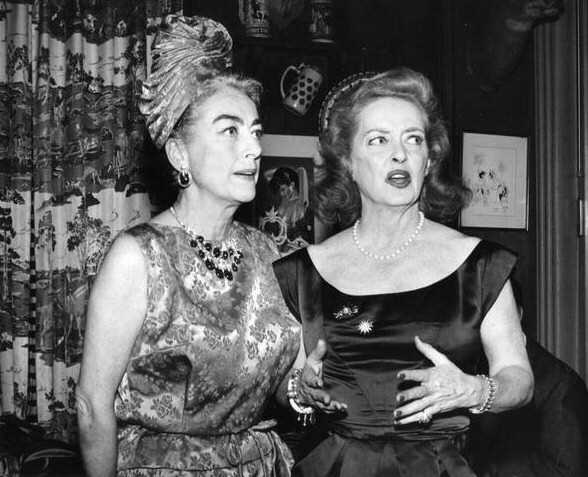 But when Aldrich asked Bette to star in a second picture with Joan she loathed the idea of ever acting with Crawford again. Davis used to say that she and Crawford had nothing in common. 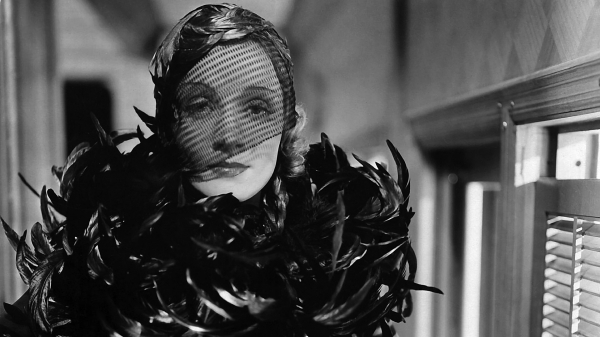 She considered Crawford “a glamour puss” who depended on her fabulous looks alone, though Crawford did wind up working with some of my favorite auteurs like Michael Curtiz, George Cukor, Robert Aldrich, Nicholas Ray, Otto Preminger, and Jean Negulesco. Both were very strong women who had to scratch and claw their way through a mire of misogyny to achieve their stardom. 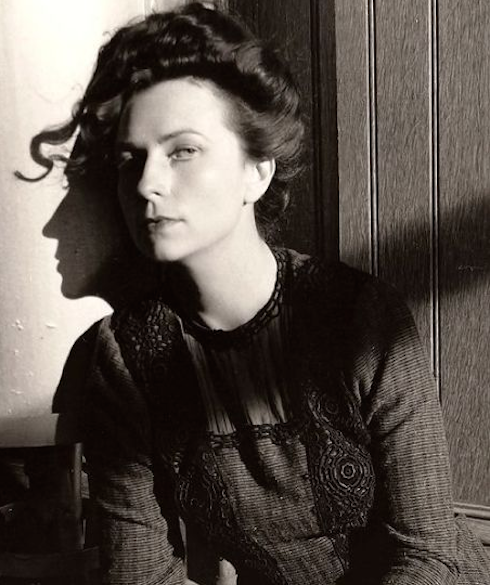 Crawford was always playing the formulaic vulnerable ‘girl from the wrong side of the tracks. Born in poverty she reaches for a dream and strives through hard work to make good. 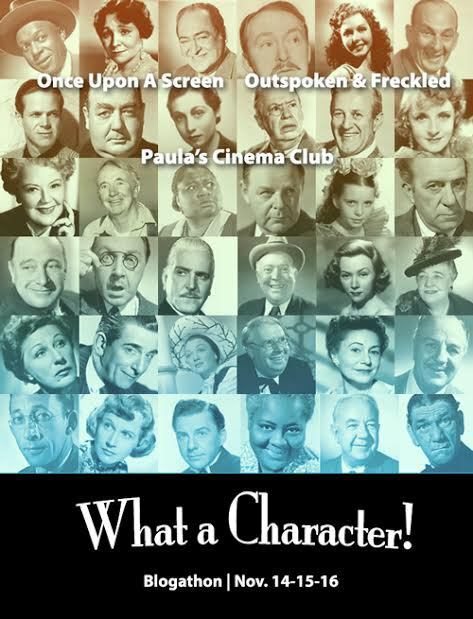 Stories reflecting the struggles of Depression Era and World War II appealed to audiences of the 30s & 40s. 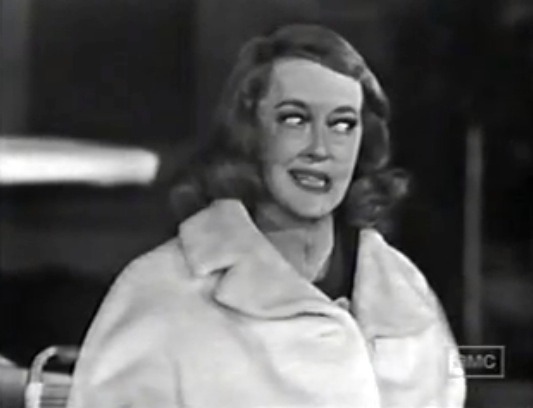 Based on Bette’s early stage performances critics said she was made of lightning filled with fantastic energy. 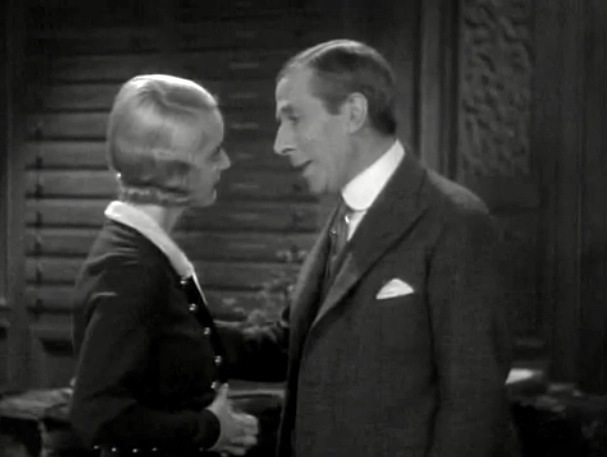 It was George Arliss who decided Bette would be perfect for his next film The Man Who Played God 1932. He became a bit of a mentor, Bette said he played god to her. In September 1931, she felt finished with her career in Hollywood and was packing her things with her mother ready to return to New York when George Arliss came along and saved her. 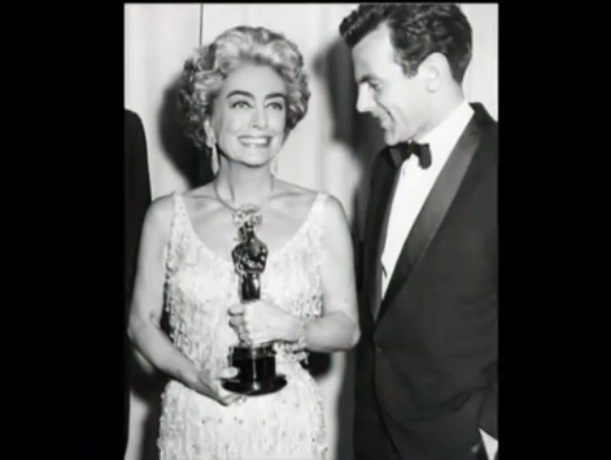 Joan Crawford had been married to Douglas Fairbanks Jr. at the time and learned everything about Hollywood royalty and how to become pretentious. When Crawford first arrived in Hollywood she was a dancer, an it-girl flapper for MGM through out the late silent & early sound eras working alongside Clark Gable. She didn’t have those signature eyebrows yet. 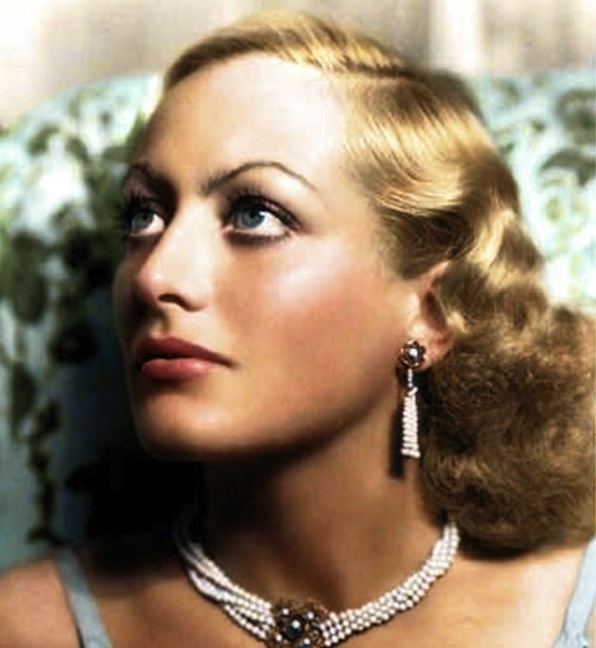 At some point in the 30s she started changing her look which embraced the heavily arched eyebrows, the wider mouth and the notorious shoulder pads which became her iconic trademark. 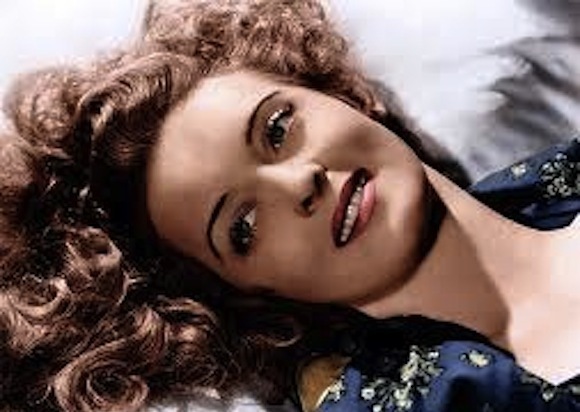 She left MGM and joined Warner Bros in 1943. 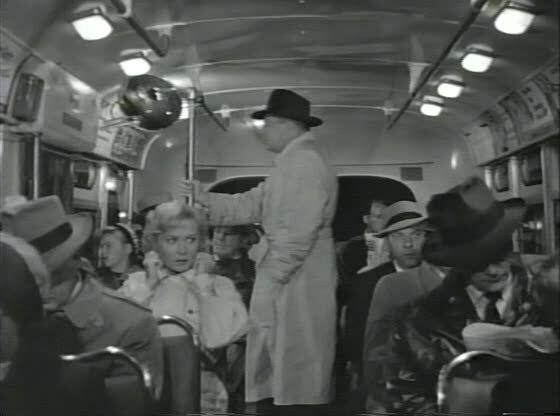 The Killer is Loose (1956) directed by Budd Boetticher revolves around a bank robbery in downtown L.A. 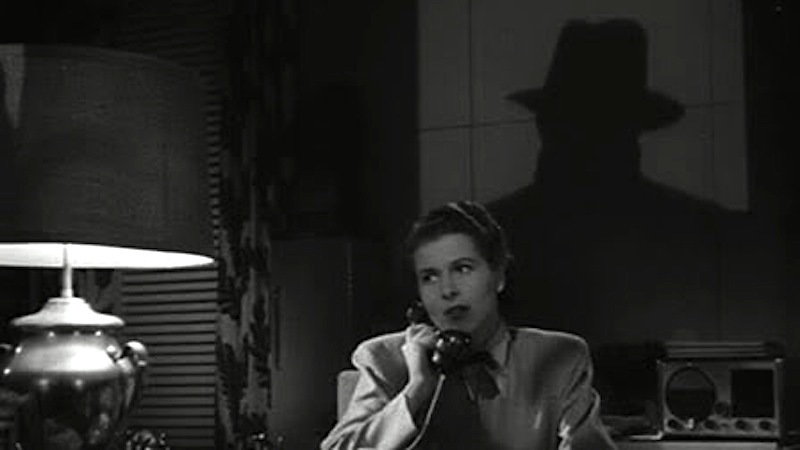 While the police have set up a wiretapping operation it is revealed that the meek bank teller Leon Poole is the inside man. Leon had faked going after the robbers and getting struck by one of them in the process. This impresses his old army Sargent who was in the bank at the time. We learn that the nickname Foggy was given to Leon by his superior officer and the entire company apparently to poke fun at Leon” Foggy” Poole for being a simple minded coward. 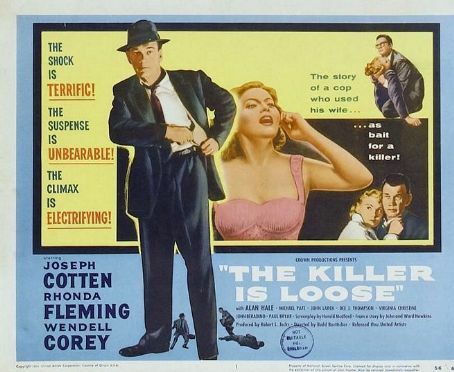 Starring Joseph Cotten as Detective Sam Wagner, Rhonda Fleming as his wife Lila, and Wendell Corey as Leon “Foggy”Poole. 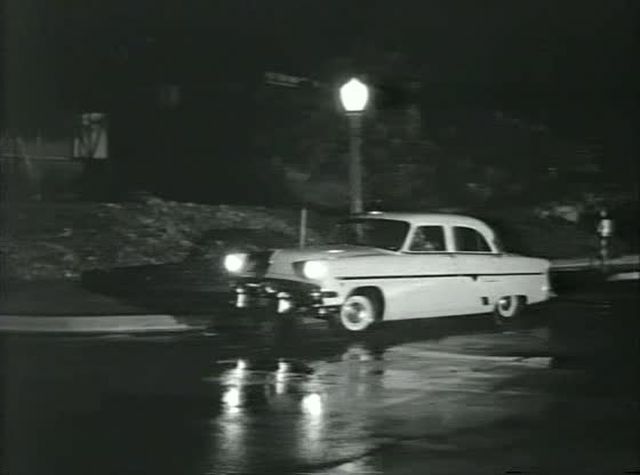 During the apprehension of Leon, detective Sam Wagner accidentally kills Poole’s young wife who wasn’t supposed to be home, and at Leon’s trial he swears to get back at Detective Wagner, while staring at Detective Wagner’s wife who is present in the courtroom. 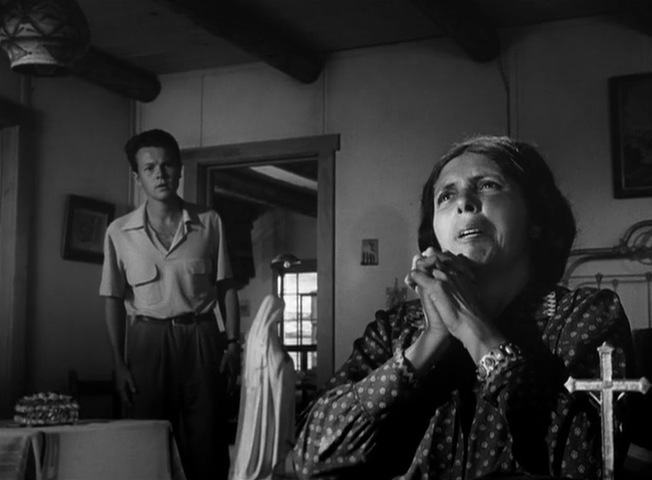 This is the inception of the woman in peril theme once Leon sets his gaze on Sam’s wife Lila the object of his hatred fixed on her from here on in. In a very chilling manner, Leon asks why Sam’s wife Lila should still be alive. 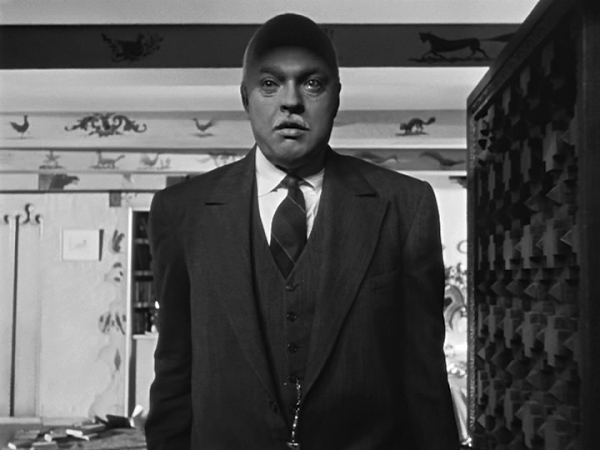 Leon’s lack of affect shows us a more deranged man than someone who might be prone to violent outburst, and it is this subtlety of his underlying psychosis that is so frightening. 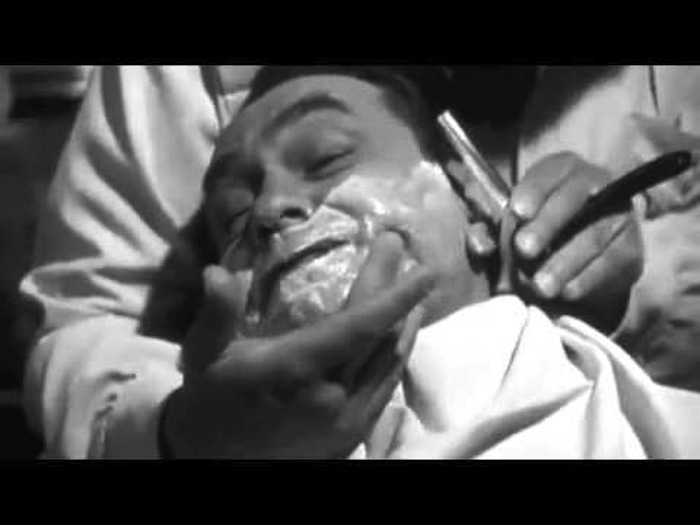 About three years later, Poole (until then a model prisoner) abruptly takes his chance to kill a guard and escape. It’s clear during the ensuing manhunt that Poole is obsessed in pursuit of a single end; but not quite the end everyone supposes. After serving 3 years in prison, Leon gets assigned to an “honor” work farm, where because of his mild manner and seemingly model behavior is trusted to go on a ride with one of the prison guards to unload a truck. 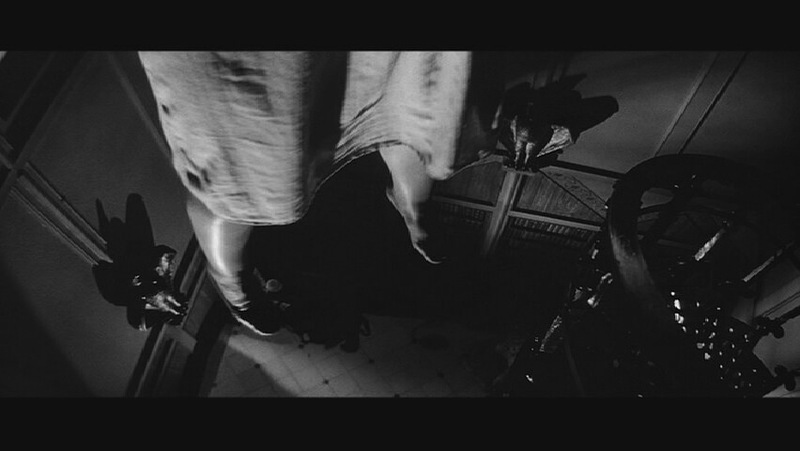 Leon seizes the opportunity to escape by brutally killing the driver, and then proceeds on his odyssey of revenge. Like a shark that never stops moving, Leon is driven only by his desire to exact the same outcome for Detective Wagner, to target Lila as retribution for the killing of his beloved wife. Leon becomes a killing machine. Going from one opportunistic murder to the next until he can reach Sam’s wife. 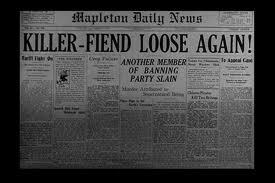 So begins the full scale manhunt for the killer on the loose. 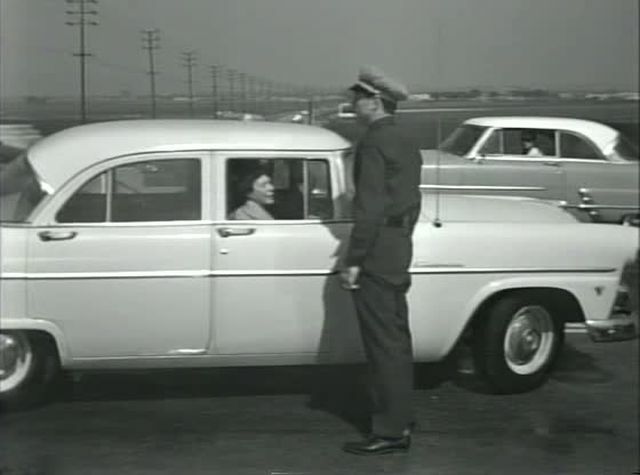 Budd Boetticher gives us a very bleak yet dramatic landscape of America’s man vs society, cop vs criminal, good vs evil. 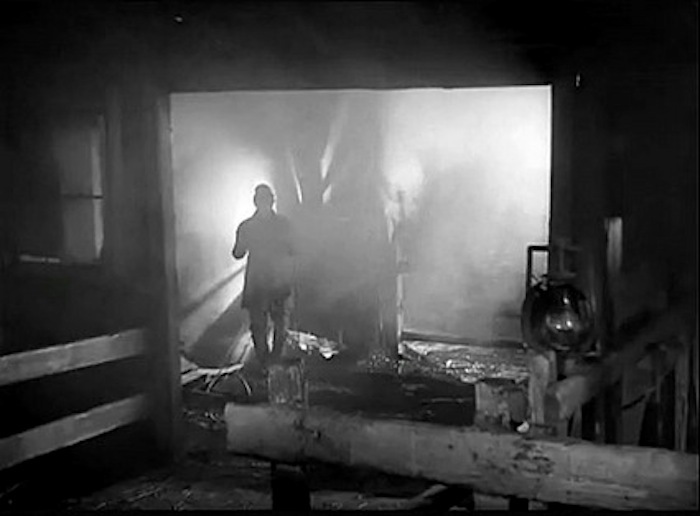 Like some of the wild west pictures that Boetticher is known for, except here it’s played out in an urban city setting. 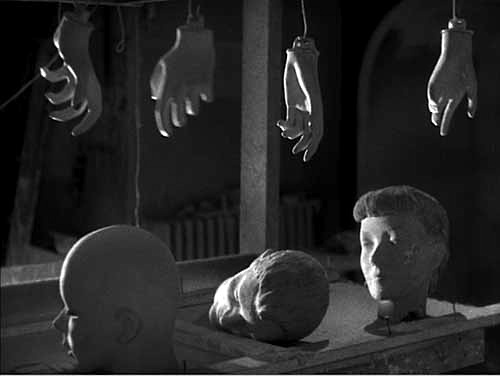 Leon is a man set on revenge with no other driving desire, and void of a consciousness that we can see. Killer is uncompromisingly realistic and often brutal in it’s portrayal of the ordinary machinations of a psychotic murderer, especially for it’s time. 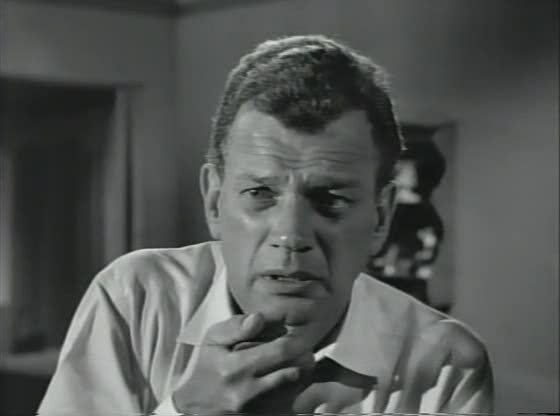 I’m not a huge Rhonda Fleming fan, but I do love Joseph Cotten in anything even his later cult and horror period like Baron Blood, Airport ’77 and Soylent Green. 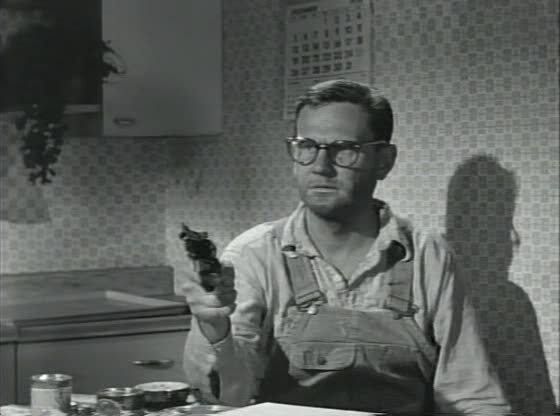 The really memorable star of this gutsy Mise en scene police vs criminal noir, is the killer himself Leon “Foggy” Poole played brilliantly by Wendell Corey who defined his sober character with simplicity, and an almost naivete childlike quality. 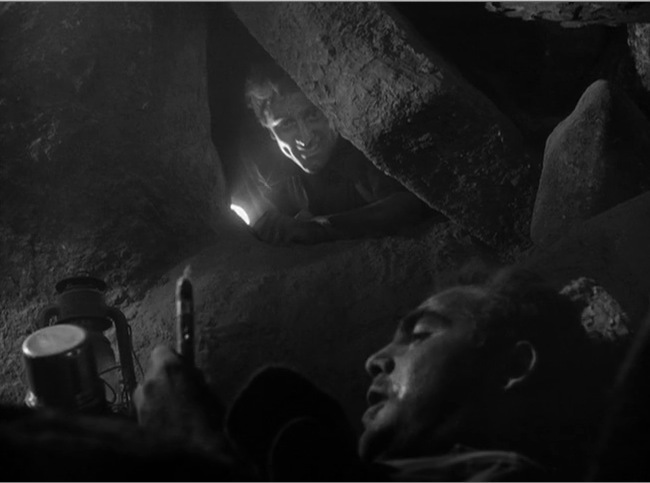 This is what makes the film so compelling. 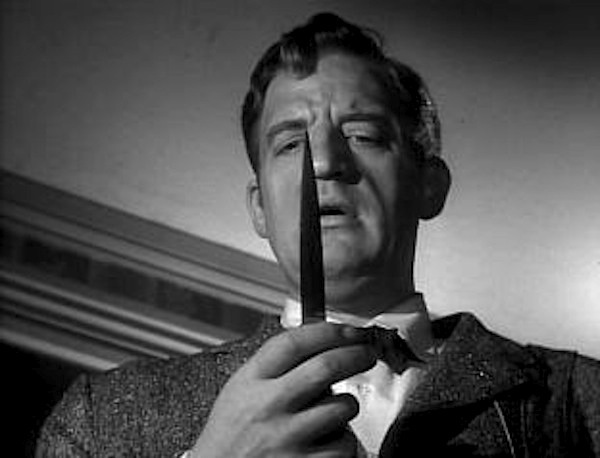 That Leon doesn’t understand why he shouldn’t kill the people who are getting in the way of his fixing Detective Sam Wagner for having inadvertently killing Leon’s wife during a raid on his apartment. 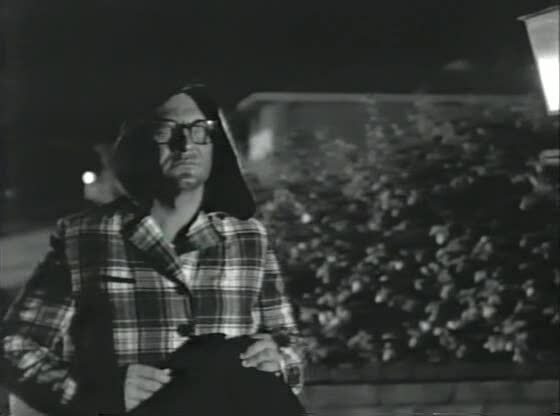 Wendell Corey’s Leon never comes across as unhinged in an overt way, it’s the way he holds back his emotions that makes his killer enigmatic and makes your skin crawl. 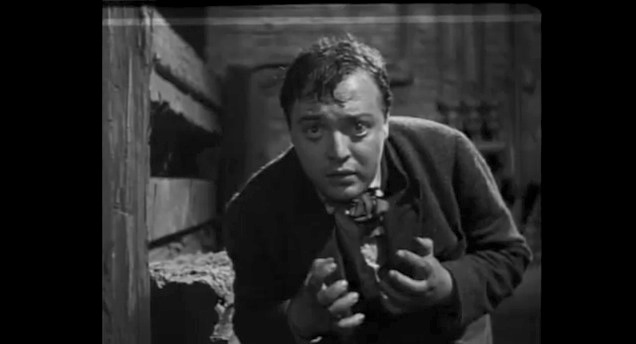 There are moments of exasperation in The Killer Is Loose for me. 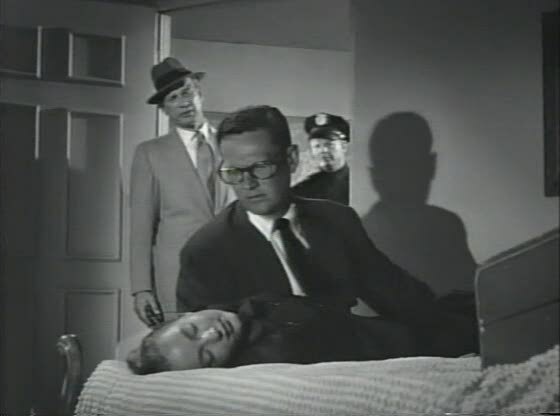 The police often miss the mark when trying to effectively do their job, and I find Rhonda Fleming’s character as Sam’s wife Lila annoying most of the time.I was more sympathetic for Mary, the wife of Sam’s partner’s Michael Pate (Curse Of the Undead)Detective Chris Gillespie’s played by great character actress Virginia Christine. Still, The Killer Is Loose is a compelling watch, because of it’s existential informality in some of the more brutal moments which are powerful. 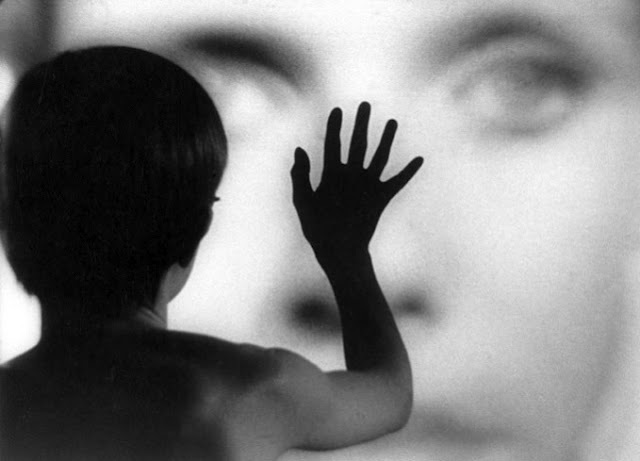 The tone of Killer overrode the failings of this film for me and so I was able to separate myself from the few things that irked me like Lila’s stubborn harping and the police’s ineffectual fumblings. There are some other great veteran actors in this film like the always jovial Alan Hale Jr and John Larch who plays Otto Flanders, Foggy’s superior officer in the army who gave him that nickname Foggy as an insult.